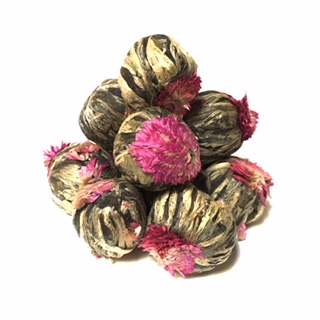 The plum-shape green tea balls with the embedded flowers in the center bloom into a colorful three-tier Christmas tree in the cup. Indeed magic in the cup. Mostly 4 pieces to 1 oz.